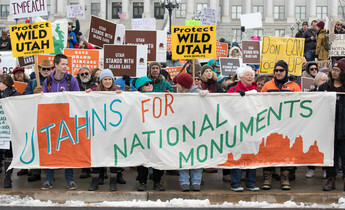 Leaders and citizens from around the world are gathering for an unprecedented climate change event: a global summit convened by a state government in direct defiance of the Trump Administration. Even more unprecedented, China will play a leading role in the Global Climate Action Summit (GCAS), hosted by California from September 12-14. China’s national Ministry of Ecology and Environment is co-hosting the China Pavilion, a showcase of the country’s efforts to fight climate change. 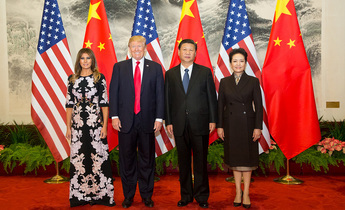 China’s participation in the summit is the latest episode in the unique partnership it has built with California in recent years. 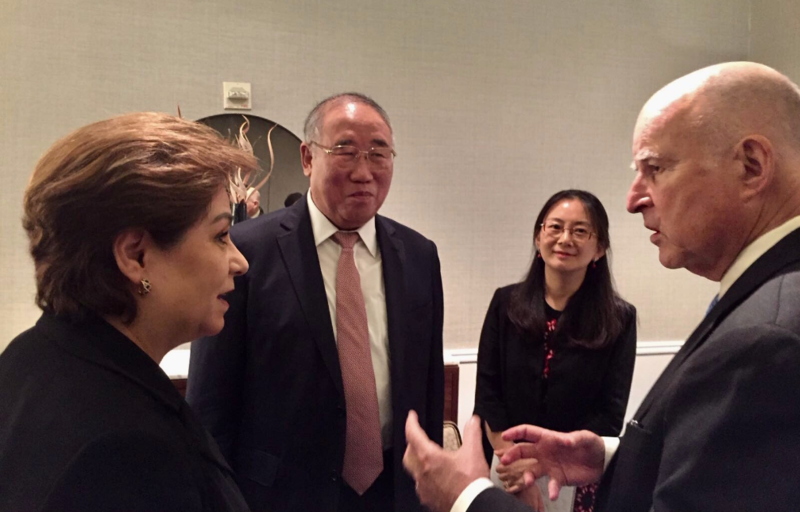 Days after President Trump announced his intention to withdraw the US from the Paris Agreement, California’s governor, Jerry Brown, discussed climate change with China’s President Xi Jinping in Beijing – sending a strong message to Washington that cooperation between the two powers would continue. 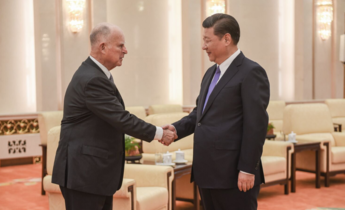 On that trip, and a prior visit in 2013, Governor Brown signed a slew of MOUs (memoranda of understanding) that joined California and China together to mitigate climate change. Since then, China and California have been quietly working together to fund clean technology, shift to electric vehicles, cap and trade carbon emissions, and more. Their progress, on display in San Francisco this week, is an example of China and the US working together to fight climate change – despite the tumult of the Trump presidency. 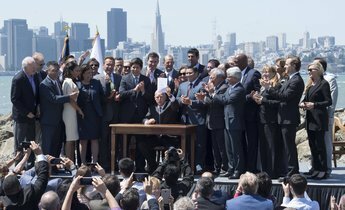 After Trump’s announcement to withdraw from the Paris Agreement, Governor Brown wasted no time in making a counter move – announcing California would host GCAS. The summit is imbued with that sense of urgency: it will tell success stories with a focus on the role of non-state and subnational actors while encouraging participants to “Take Ambition to the Next Level”. Speeches, panels and announcements of new commitments will take place over the course of the three days, marshalled by six co-chairs from the UN and other countries, including China’s special representative for climate change affairs, Xie Zhenhua. 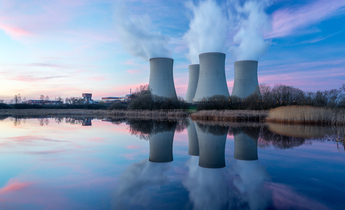 The timing of the summit is deliberate and intended to bolster momentum ahead of 2020, when nations will be called upon to increase the ambition of their climate targets under the Paris Agreement. To propel nations forward, the summit will encourage non-state and sub-national actors to make new commitments. The China Pavilion will present China’s climate actions and relevant lessons from other geographies, as well as China-California climate cooperation. One key event at the China Pavilion will be the launch of the China-California Cleantech Partnership Fund, designed to promote cleantech innovation. The fund builds on a MOU with China’s Ministry of Science and Technology (MOST) to create a “China-California Clean Technology Partnership”, signed during Governor Brown’s visit to Beijing in 2017. It is also a natural extension of a longstanding trade in cleantech between the two sides. Where clean technologies, such as solar PV, were often developed in the US and manufactured in China, in recent years, Chinese companies have been bringing their innovations to California. 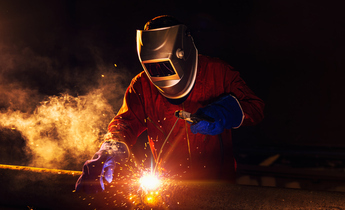 The Chinese bus manufacturer “Build Your Dreams” (BYD), which is partly responsible for the electric bus revolution that's sweeping China, is manufacturing its buses in sleepy Lancaster, California for use in US cities like Los Angeles. The flash mob of dockless electric scooters that recently hit the streets of San Francisco and other US cities also can be traced back to China. The US companies behind the scooters were influenced by China’s shared bike craze. The new fund intends to further this cross-pollination of cleantech. According to the agenda for the China Pavilion, the fund will contain four sub-funds: three between California and Beijing, Shenzhen, and Jiangsu province; and one sponsored by GCL, the Chinese solar manufacturer. A joint investment plan released by Jiangsu province in south-eastern China and California last year provides a preview of what these funds might look like. 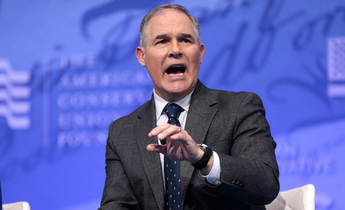 According to the plan, parties will communicate funding decisions to each other and agree to fund “mutually beneficial clean technologies that help each participant’s region achieve shared climate change and air pollution reduction goals, as well as facilitate economic growth”. Ken Alston, investment manager at the California Clean Energy Fund, which is helping establish the China-California funds, says that electric vehicles are a priority for both sides. China is now the largest electric vehicle market in the world, and California is the largest market in the US – together making up over half of global EV sales in 2018, according to a Bloomberg forecast. As China looks to go electric, it has turned to California for policy guidance. Both governments aim to radically increase the share of electric vehicles on the road: California plans to have five million emission-free cars by 2030; and China is aiming for seven million electric vehicles by 2025. To hit these targets China will roll out what Bloomberg New Energy Finance called “the single most important piece of EV policy globally”. The policy – a New Energy Vehicle credit system – requires manufacturers to meet a sales quota of 10% EVs by trading credits with other automakers. It will come into force in 2019. The International Council on Clean Transportation calls the policy “a modified version of California’s Zero Emission Vehicle (ZEV) mandate”. “China has referenced and learned from California,” Yunshi Wang, director of the China Centre for Energy and Transportation at the University of California at Davis told Bloomberg in March. Pricing carbon properly has been a major objective of both California and China’s campaigns to tackle climate change. As China builds toward launching its national carbon market, which will be the world’s largest, it has looked to California for guidance – California’s state-wide cap and trade system has been running since 2013. After MOUs signed between California and China on climate cooperation that year, the state hosted many delegations from China’s pilot carbon markets and the National Development and Reform Commission (NDRC), which was in charge of establishing China’s national market. Rajinder Sahota, deputy chief of industrial strategies at the California Air Resources Board (the regulatory authority managing California’s carbon market), received the Chinese delegations – she says the Chinese officials came with pointed questions about technical issues to learn from California’s experience. Sahota says differences in political systems mean that not all California’s lessons are exportable, but that China, the EU, and California have had a very fruitful exchange over the years as each region has sought to fine-tune its cap and trade model. “There is a general desire for some of the existing programmes to start converging,” Sahota says, but linking California’s market to China’s could only be properly considered once China’s national market is fully up and running. At GCAS, a series of events will review the European, Californian and Chinese carbon market experiences. Heading into 2020, when countries will review their Paris Agreement emission reduction commitments, China is under pressure to signal its intentions. “Governor Brown would like to have new commitments,” says Matt Sheehan, a non-resident fellow at The Paulson Institute and author of a forthcoming book on California-China relations, but the year is crowded with climate events, “so [China] doesn’t want to play all their cards here”. China watchers and the climate community will be looking to see if China shows its cards at all at the San Francisco summit – signalling, for instance, plans to upgrade its NDC or raise other sectoral or city-level targets. In the meantime, California and China will be celebrating a new milestone. Lili Pike is a researcher for chinadialogue and the executive producer of the Beijing Energy Network's podcast, Environment China. 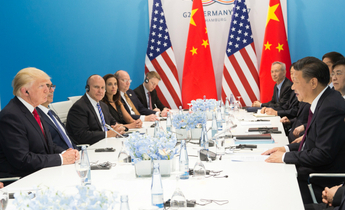 What’s next for US-China climate cooperation?